Poké (POH-kay) is a seasoned raw fish salad that has been served in Hawaiian cuisine for centuries as an appetizer, and sometimes as an entrée. The dish is most commonly made with ahi tuna and tako (octopus). Traditional poké seasonings have been heavily influenced by Japanese and other Asian cuisines. These include soy sauce, green onions, and sesame oil. Today’s modern poké can be prepared with a wide variety of seafood and seasonings. Established in 2016, Hashtag Poki is a family owned restaurant, brought to you by sushi chef Jerry and wife Diana. Their goal is to bring a fresh and healthy food experience to the Bay Area. Here at Hashtag Poki, we are extremely passionate about creating tasty and healthy food. We select the freshest and highest quality ingredients to bring you the most traditional island flavors in a modern concept. We offer a variety of sustainable, sushi grade fish as well as vegetarian and gluten-free options. At Hashtag Poki you can build a custom dish to satisfy your own unique craving. Follow your taste buds and go wild! Hashtag Poki is committed to conserving the environment. We use environmentally friendly products, such as compostable containers and utensils. Our non-compostable items are also recycled. 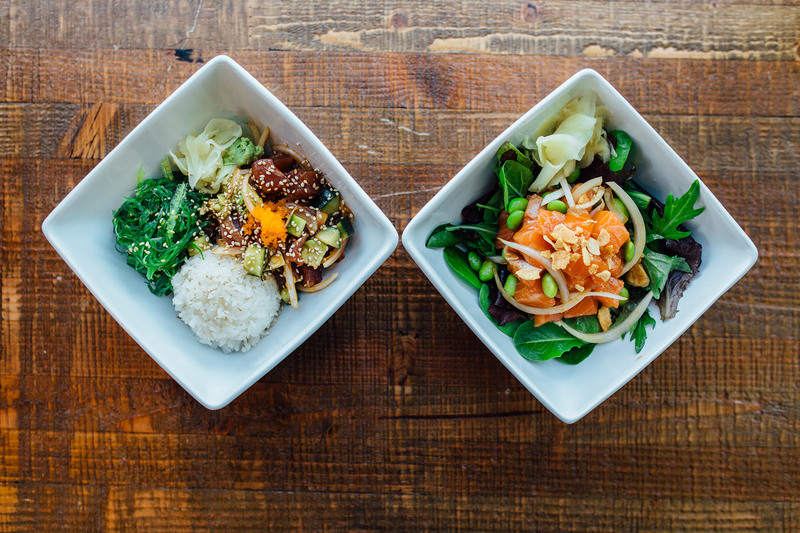 Be sure to check out our menu and our reviews and come by today to get your poké fix.